1970 Lady Gusties Celebrate 70! 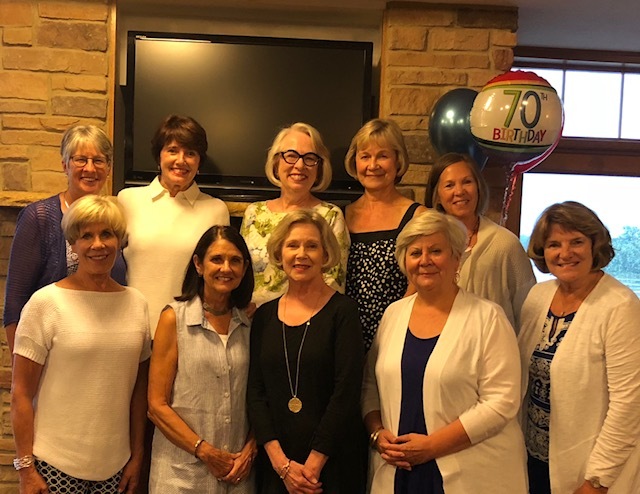 A group of 1970 classmates who get together regularly, gathered this summer to celebrate their 70th birthdays! They also celebrated the life of their friend, Nancy Preston Endsley, who passed away last December. L-r front: Gail Linnell Ehlen, Cindy Langen Patterson, Dee Johnson Henderson, Mary Kaye Springer, Karol Klint Greupner.